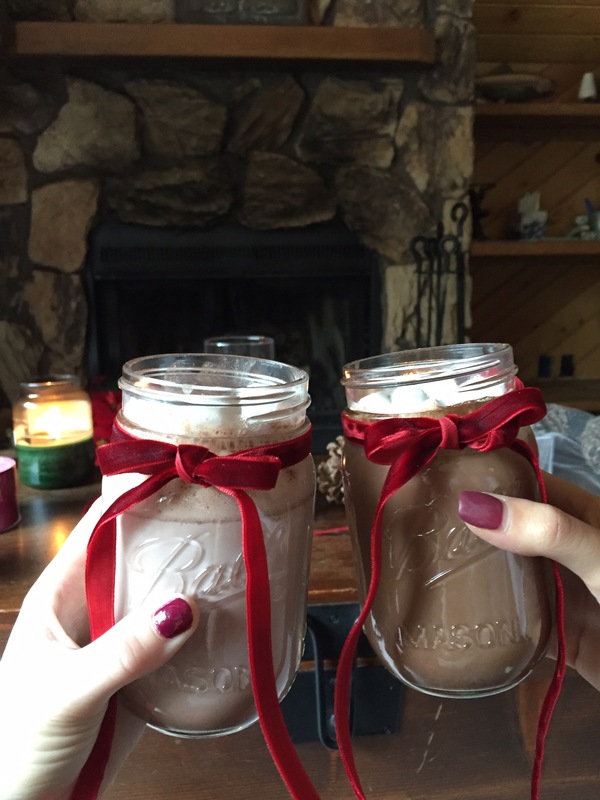 Although the original intent of mason jars may have possibly been to can fruit and preserves, creative hipster-type people and marketing execs at Pinterest have come up with a million and one additional uses beyond the preservation of confectionary fruit spreads. You can pick up a case of Ball mason jars in some supermarkets, or order them online for a bulk discount. I got mine from Paper Mart, which offers the 12-cases in varying sizes. 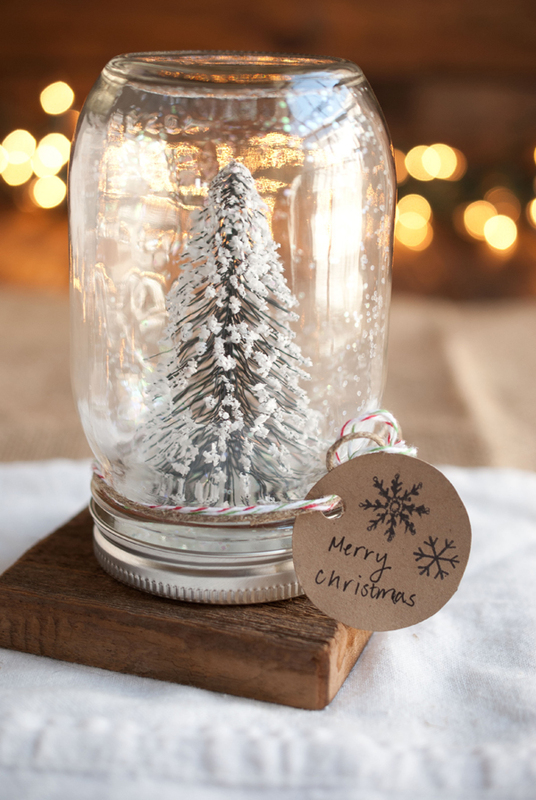 Try these Holiday “Hacks” to turn a mason jar into a gift, centerpiece, or really just a beacon of holiday hope. A simple use for your jars is to use them as vases. 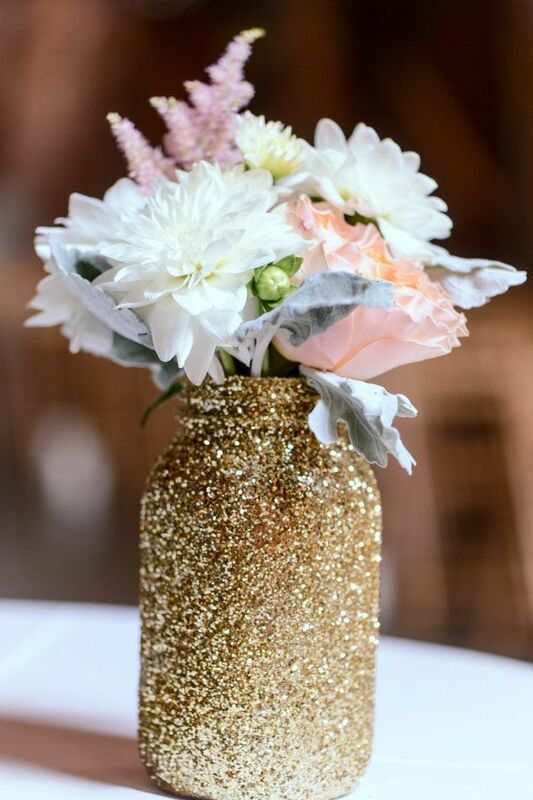 You can keep it easy by simply tying a ribbon around one, or spruce things up by coating it with gold glitter or “snow” made of epsom salt and glue. Try it with white peonies or dark red dahlias. 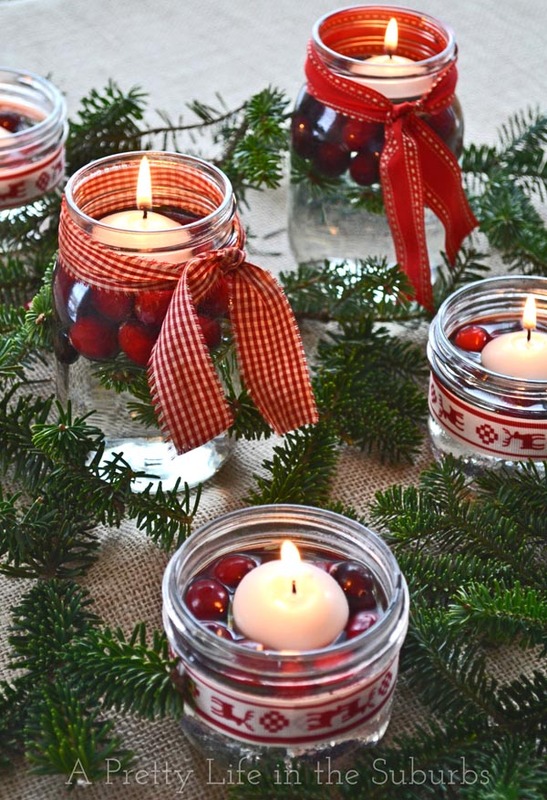 I found this one a little while back and it’s been on my Christmas to-do list – you’ll need water, tea lights, cranberries and ribbon. 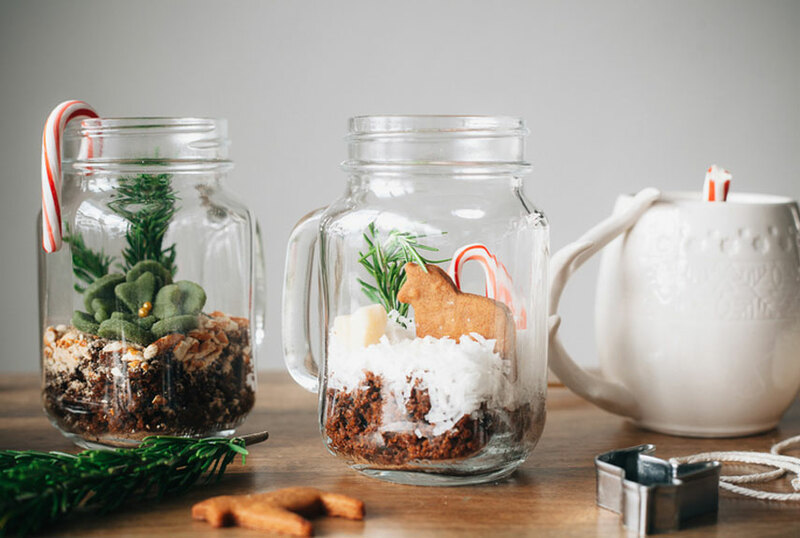 You can use these and some pine clippings to literally spruce up your tablescape. 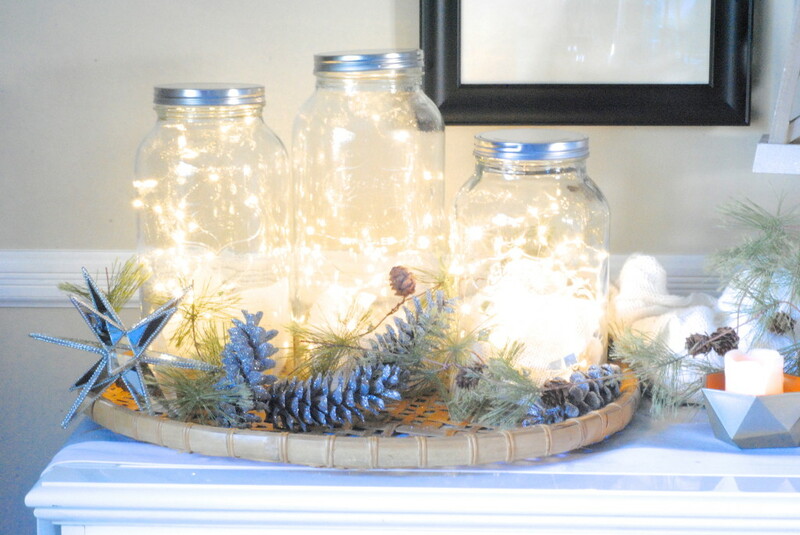 You can put as little or as much effort into this as you’d like – you can decorate the outside of the jars or keep it simple, and just put the LED garland inside. 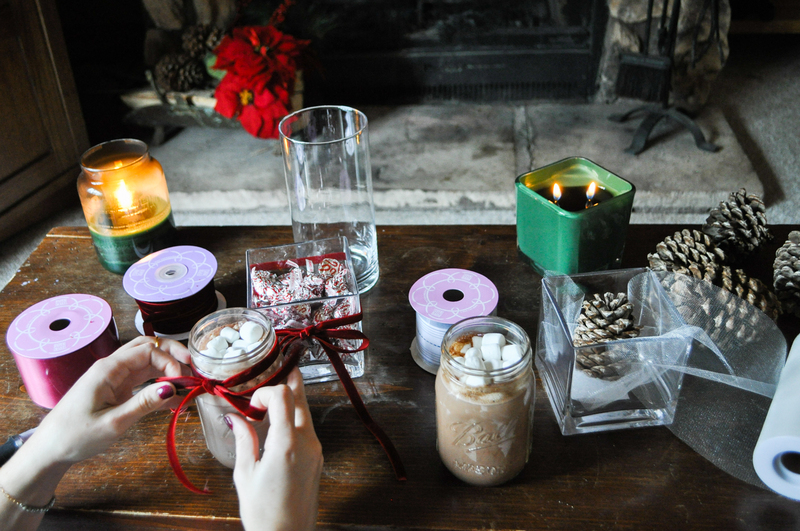 Use these around the house as sweet holiday luminaries. I love your photography! Also these are great ideas! thanks doll! only a few of the photos are mine… all the craft ones (except the cocoa mugs) are from the blogs I linked to with the instructions. Some super cute sites to check out!